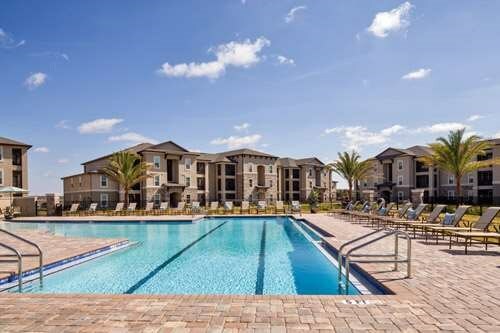 Be the first to live in your apartment at this brand new, luxury community located near sunny Trinity, FL near New Port Richey. With designer coordinated finishes and 5 star amenities including a zero-entry pool, Trinity Exchange offers everything you need to live life to the fullest. Brand new construction- be the first person to live in your new home! We've sent your message off to Trinity Exchange. If you'd like to chat with the staff immediately, feel free to call them at (855) 631-1393. If you would like to chat with the Trinity Exchange staff before your tour, you can call them at (855) 631-1393. We're checking availability for you now! Someone from the leasing team will contact you shortly. Meanwhile, please feel free to call Trinity Exchange at (855) 631-1393.